Southeast entrance to Northeast Harbor. Privately owned. Bear Island is part of the Cranberry Islands. Bear Island lighthouse was established in 1839 to help mariners entering Somes Sound into Northeast Harbor. The lighthouse was completely rebuilt in 1889, and for a number of years during this period the island established a buoy depot for maintaining navigational aids and for buoy tenders to refuel. In the early 1840s, there was discussion between the government and local mariners as to the need for the lighthouse. The government finally agreed with the locals and decided to keep the beacon active. One of the locals, a Captain Doyle, claimed that he would have lost his vessel with a valuable cargo during a voyage from Eastport, if it had not been for the light. Elmo J. Turner was the keeper for some years in the 1930s and had a cow and some chickens on the island. One day the cow had to be taken to the mainland using their dory, and then had to be brought back to the station. The anxious animal got very seasick on the way back. 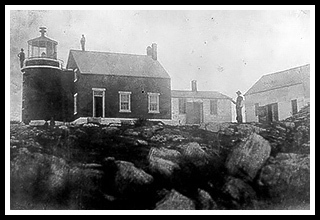 In the late 1950s, Terry and Nancy Stanley lived at the lighthouse. Terry gained a local reputation regarding his creative skills during his spare time in carving elaborate wooden birds and fish. The current 33-foot lighthouse was renovated in 1989, and today is privately owned. Mount Desert Island became an international tourist attraction in the nineteenth century as a main component of the Acadia National Park system. 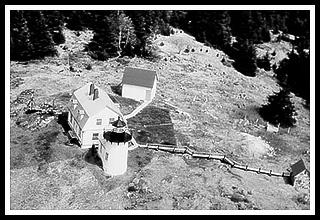 To accommodate the influx of international and American tourists from the sea, as well as many leaving on tours from the harbor, and for the local mariners, a series of lighthouses were built on and around Mount Desert Island. There are many islands in this area, and lighthouses were built atop some of these to guide mariners through the Blue Hill and Frenchman Bays, and Somes Sound. 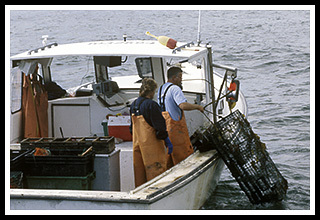 Northeast Harbor provides a unique opportunity to take the the Islesford ferry from Northeast Harbor to visit the other Cranberry Islands. There are tour boats that sometimes pass the lighthouse and a mail boat ferry you can take to Great Cranberry Island and Islesford that goes past the lighthouse. 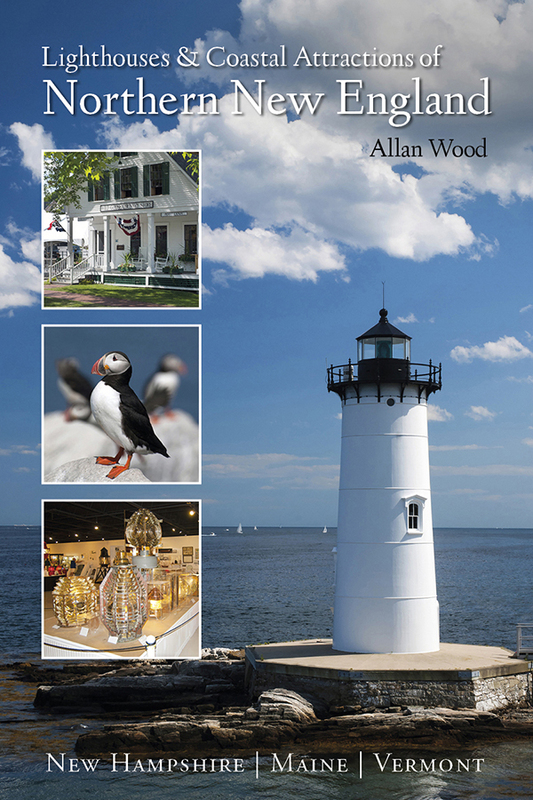 Islesford offers a historical museum, art gallery, and grocery store at the island; Sea Princess Cruises offer tours that pass by the lighthouse along with wildlife tours of the area. 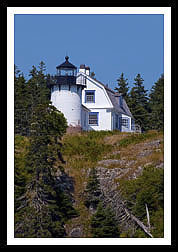 Bar Harbor Whale Watch Company offers tours that pass closely by the lighthouse. Visit these islands and you’ll find yourself going back in time as little has changed over the years. Strange “go cart” like vehicles may pass you by, as there are no strict rules to enforce safety, and usually not needed. Most of these island communities are self-supporting and watch out for one another. The Islesford Historical Museum located on Little Cranbury Island, which can be reached by mail boat, or some of the tour boats, provides exhibits that tell the story of the Cranberry Islands and its people through ship models, navigation aids, photographs, and tools. When you hitch a ride on these mail boats, they are very inexpensive, and provide you the unique opportunity to visit neighboring islands to disconnect from the mainland and relax. Cruises mentioned below may offer many types of excursions. While some may offer specific lighthouse cruises, some may pass by Bear Island Lighthouse during sailing charters, narrated wildlife and historic tours, whale watching, fishing tours and other types of excursions. Lighthouse and Park Tour Baker Island and other five lighthouses.